As I wrap up my look at the 2010 FBC Jax Pastor's Conference promotional disgrace (see my two previous posts here and here), I want to contrast the FBC Jax method of attracting and charging vendors and advertisors and "sponsors" to their conference, with how the Southern Baptist Convention charges vendors at their annual convention. I wanted to first address the anons who posted in the last few days that there is nothing inherently wrong with FBC Jax charging for "sponsorships", and selling for thousands of dollars the rights to display organizational names on image screens, or putting a price tag on mentioning the names of ministries from the pulpit. Their logic is because that is standard fare for other "conferences" and therefore not to be criticized when done by a church. - a municipal venue will costs tens of thousands of dollars to rent, whereas there is no rental fee whatsoever for the use of a church santuary that has been paid for cash by the gifts of the church members. If a convention or Christian event is held in a public venue, it may make perfect sense for the costs of the facility rental to be shared by the ministries using the rented facilities (this is what the SBC does as I will show below). - There are obvious operational expenses that FBC Jax must bear in hosting the Pastor's Conference: security, housekeeping, utilities, etc. These costs have been covered by the church or by the registration fees or special offerings from attendees in years past. But there is no extra cost in providing square footage for vendors, the space is in the foyer area already. There is no extra cost in allowing a PowerPoint slide for a Christian organization to be displayed on an image screen, or in having a minister mention the name of a worthwhile ministry through the sound system - these systems are not rented - they are in place for the sole purpose of the gospel, not to be used as a means to charge Christian ministries to raise revenue. Yet market-based prices, nickel-nose prices are charged to ministries for those privileges. Why should these ministries bail out the FBC Jax bunch who is managing the conference? Attendance is WAY down over years past - so obviously there is a problem with the product being offered, or the pricing is out of whack...let them figure out the proper pricing structure and conference attributes to raise the required revenue - without the embarrasing selling of advertising in the church. Another argument for selling advertising at the conference is that helps keep the registration costs low. Its not apparent that the registration fees for the FBC Jax conference are significantly lower than for other similar conferences. 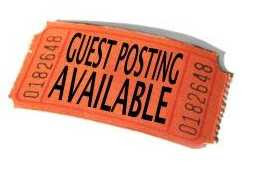 The cost now for a husband and wife to sign up and attend the 2010 Pastor's Conference is $299. Compare this to the Shepherd's Conference held by John McArthur, which charges $300. 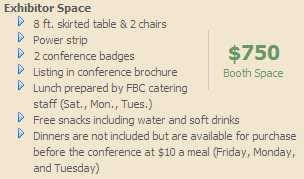 I won't go into comparing the goodies and meals given at each conference that or may not be included in the respective pricing, but my point is: FBC Jax is charging comparable fees to other conferences. And by the way, if all the promotional packages are sold, its adds up to just about $100,000. Assuming they sell 20 vendor booth spaces at $750 a pop, that is an addtional $15,000. These marketing plans also serve to feed the "good ole boy" network that exists in the SBC. The leaders of some of the organizations that will pay these fees are also speakers at the conference and will be paid handsome speaking fees by FBC Jax! And who can forget the embarrassing moment in 2007, right in front of David Jeremiah who was about to preach, when Mac Brunson brought his son, Trey, up to the platform and congratulated him for "raising over $100,000" to help defray the expenses of the conference, and declared that this was more than twice Trey's salary - I'm not kidding, he actually said that. As I have said on this blog before, although Mac didn't explain HOW Trey raised this money, Mac was likely giving Trey credit for monies raised by Conexus and The A-Group through these very same promotions that we see being pushed in 2010. Poor David Jeremiah, who was probably a little embarrassed having to follow that raw display of arrogance and nepotism, declared something along the lines (I'm paraphrasing): "Gee, if the money raised is tied to his salary, let's give that boy a raise!" At least one poster yesterday gave some options: cancel the P.C., raise the registration fees, or find other "creative" ways to "finance it. Well, the registration fees have risen in the past five years, and these promotional gimmicks could certainly be called "creative". But I can tell you, Homer Lindsay would sooner cancel the Pastor's Conference than allow his church to be selling the rights to display ads in the Main Auditorium, labels on bottled water, and logos on bags. Homer would be embarassed by it all. Homer believed that the church should pay for its ministries - including the Pastor's Conference; and it was a ministry to pastors - to let them hear solid preaching that they were not getting at that time at the Pastor's Conference of the SBC Annual Meeting - and it was a time for them to see just what was going on at FBC Jax. "Other groups [besides those directly affiliated with the SBC] may obtain space if they are sponsored by an SBC entity or Woman’s Missionary Union, or if that SBC entity has Convention responsibility for the area of work represented by the group (i.e., Conference of Southern Baptist Evangelists sponsored by the North American Mission Board)." "1. The exhibits are to operate on a cost-recovery basis. Exhibitors will be billed by the Executive Committee on a cost-per-square-foot basis. The cost per square foot should be sufficient to recover the cost of the rental of the exhibit hall, security services, general decorating services (i.e., basic drapes and signs), and janitorial services. All exhibitors will pay the same rate per square foot of exhibit space." So that is how the SBC operates...they divide the total costs of providing the space, by the square footage and charge all vendors the same per square foot fee. No gimmicks. No selling of bottled water ads or logos on canvas bags. Definitely no hiring of promotions firms to see how to use the assembly of pastors and lay people to raise revenue. Oh, and one other minor detail that allows the SBC to operate their convention like this: they aren't paying huge speaking fees to the people on the platform. FBC Jax, if you want to follow the anon's advice and do something REALLY creative: try cutting the speaking fees you are paying by 95%, and see who still will come to speak. Sure, pay their travel and their lodging and meals (and a free ticket to the conference! ), but try paying them just a $250 dollar stipend. Try reserving hotel space at the Holiday Inn instead of the Omni. Try trimming (eliminating) the consulting fees paid to church marketers and promotions firms. There are ways to be creative, but they would require the big name speakers to pocket less money, and the consultants would have to find their own revenue. As I said yesterday, I truly hope no Christian ministries will give in and puchase these promotional packages. I understand they will have to fork over the $750 for the display table - there is nothing they can do about that. But to pay for bottled water, canvas bag logs, cheesy promotional pen ads, and "banners at the snack areas" and displays on the TVs and image screens...I hope they save their ministry money for other more worthwhile investments. Come on Down! You're the Next Contestant on....THE FBC JAX "PRICE IS RIGHT!!" 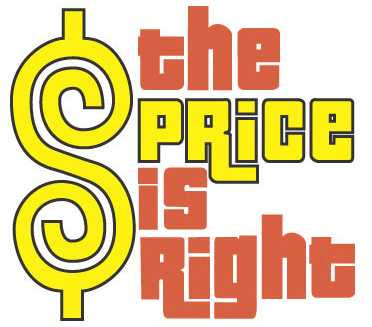 Readers - welcome to a special episode of "The Price is Right"!!! For this episode, Bob Barker has come out of retirement, back to host this special featuring some incredible marketing deals sold EXCLUSIVELY by the marketing and promotions team at FBC Jax, Inc. for their 2010 Pastor's Conference. Never before has a mega church sold advertising in the halls of its church to the highest bidder - what a special day!! Join us, as the show begins! Bob Barker: "Johnny Donovan, please tell us who our next three contestants are, please!!!" Peter Paigerson, President of the Northeastern Seminary.....COME ON DOWN!!!! Al Incisor, President of Deep Southern Seminary....COME ON DOWN!!!! Thim Clouder, President of the Give Life Publishing company...COME ON DOWN!!! " Bob Barker: "Hello gentlemen! Thank you for joining us, here are the next three items up for bid on the FBC Jax, Inc. Price is Right Showcase....Johnny, tell these men what they can buy today!!!" "Advertising your Christian agency on all the Bottled Water given to attendees at the 2010 FBC Jax, Inc. 2010 Pastor's Conference!!!! " Johnny D (continues): "Yes, gentlemen, the bidding will start at $1000 - you can take the marketing of your Christian organization to new heights by getting your name out on all bottles of water at the conference. What better way to say "We love Jesus and Jesus LOVES our organization!" than by giving a cup of cold water...but not in Jesus name but IN YOUR AGENCY'S NAME...to those thirsty pastor's and pastor's wives at the 2010 FBC Jax, Inc. Pastor's Conference. Worried your donors will be flabbergasted at paying large advertising fees to a church? Not a problem, our church marketing experts have researched this, and are convinced your donors will be so proud you have spent their donations on such a worthy cause...as the FBC Jax, Inc. Pastor's Conference and quenching the thirst of the those pastors sweating in the Florida sunshine!! " Johnny D (continues): "And gentlemen, don't forget....wasn't it Jesus who said whoever gives a cup of cold water is truly blessed? How much bigger will the blessings be when your agency gives a big gulp of H2O to the portly pastors and their heavy helpmates? You can put your faith into action by giving out not just a measley 4 oz. cup of cold water in a breakable cup like Jesus did, but a whole 16 ounces in one beautiful, clear, non-breakable (and recyclable!) plastic bottle! " Johnny D (continues): "As a bonus, you will get the assistance of the FBC Jax sales and church marketing team to help you design your logo for this once-in-a-lifetime opportunity! ".....And you can get this thirst-quenching indulgence, Gentlemen, if the PRICE IS RIGHT!! " Bob Barker: "Wow, thank you, Johnny. Gentlemen, your bids please: "
Al Incisor: "I'll say a thousand dollars, Bob....fifteen hundred if I can keep my speaking slot for 2011 Pastor's Conference." Peter Paigerson: "I'll bid a thousand dollars, Bob, if I can get the "silver promotions package" for my agency at $5000 instead of $7000, and the water will be handed out at all meals in the dining room as my agency's promotional video is displayed on the TVs." Thim Clouder: "Well, I'll go for $1500, Bob, if I can get my agency's name on the water, AND if Brother Mac will at least 4 times mention my organization from the pulpit and display one of of our ads on the giant hi-def image screens in the Main Auditorium Monday and Tuesday night." Bob Barker: "Thank you gentlemen! The next item up for bid....Johnny Donovan, please tell us!" "The privilege of having your organization's name imprinted on on all pens handed out at the 2010 FBC Jax, Inc. Pastor's Conference!" Johnny D (continues): "Yes, you can have your Christian agency's name imprinted on these lovely, hand-crafted pens that will be given to each paying pastor and paying pastor's wife during the conference in their conference bag. "These beautiful pens will enhance the experience of each attendee, as they write the sermon notes given by the well-paid preachers who speak at the conference. These p ens are made of the highest quality plastic polymers - and what better way to say "we love the children of China and the pastors at PC 2010" than to purchase these beautiful Chinese-imported pens with your agency's logo. "From the hand of the Master to the hand of the sinner", these pens communicate that you choose your adveristing options carefully. Imagine when that convert who accepts Jesus at PC 2010 fills out the card on the front pew, and they write their name in glory on that card using the pen with YOUR agency's name on it....your organization had a "hand" in writing that person's name in the book of life!!" Johnny D (continues): "The apostle John said he WROTE his epistle so people can know they have eternal life...and your agency spending money to provide these WRITING utensils to help pastors WRITE their notes and sermons....shows you CARE about lost souls...eternally!! And this privilege can be yours....IF THE PRICE IS RIGHT!!" Johnny D (continues): "Bob, back to you!" Bob: "Thanks, Johnny! Well, gentlemen, this is a tough one, how will you put a price on THIS wonderful opportunity? We'll start with you, Al:"
Al Incisor: "I'll pass, Bob. Too cheesy. Besides, we'll be giving our own pens out at our display booth that we paid $750 for. Times are tough, and we have to cut back some where!" Peter Paigerson: "I'll go for $750 bucks, Bob...but need an upgrade to the suite at the Omni during my stay...and a dinner at the Chart House with Maurilio during Jerry Vines' sermon this year...[Peter chuckles]." Thim Clouder: "I'll wager $1000 of my agency's money for this one, Bob, if Maurilio can promise that the pens will be used by each of the pastor's in the foyer who are signing their books, and by Brother Mac as he signs the seminary students' bibles during his office suite tour. And I'll sign up for bottled water next year if Trey will put me in a prime-time PC 2011 speaking slot." Peter Paigerson: "Hey, Thim, still selling copies of that devilish book 'The Shack' in your stores? Heh, heh..."
Bob Barker: "OK, thank you, Gentlemen....Johnny...what is our last item up for bid?" "The privilege of having your agency logo imprinted on the canvas bag containing all conference materials." 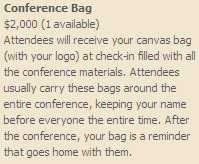 Johnny D (continues): "Attendees will receive your canvas bag (with your logo) at check-in filled with all the conference materials. Attendees usually carry these bags around the entire conference, keeping your name before everyone the entire time. After the conference, your bag is a reminder that goes home with them. " [direct quote from PC2010 website]. You all know how tiring it can be for these pastors to lug around the books they've purchased from the conference speakers and the CD's purchased from the singers that their church will be paying for when they expense it all...and your bag will be a reminder to these pastors of your organization's generosity in helping them maintain their strength for the trip home and next Sunday's sermon. Johnny D (continues): This super sack of blessings can be yours, gentlemen....IF THE PRICE IS RIGHT! Bob: Thanks Johnny! Gentlemen, your bids please! Bids must start at $2000. Peter Paigerson: Well, Bob, I will go for the full $2000, if we can bring in Jim "Jesus" Caviezel in like you did in 2007, and have him endorse my seminary as the most favored one in the convention...and he must do it in his Jesus outfit, of course! [Peter chuckles]. Al Incisor: I'll go for $2000, Bob, if I can get an extra power strip and two badges for our display table. Thim Clouder: "I like the Jim "Jesus" Caviezel idea - I'll go for $3000 for the bag, along with a Jim "Jesus" Caviezel endorsement of our new product line in the Sunday morning conference service, and a banner display in the 'Snack Area'. " Bob: "Thank you gentlemen for your bids. And the winners are.....well.....we will have to have our promotions firm Conexus get with each of you later to put the finishing touches on the bids and negotiate the "winners". Johnny, back to you!" Johnny D: Thanks, Bob, and thanks to our contestants for this special edition of "The Price is Right! We'll see everyone next year!!!" Crossing from "Church Marketing" into "Money Changing"
This is indeed the "church marketing" age. Churches large and small are employing techniques used for decades by businesses, to get the word out to the community about their ministry, to attract new prospects, and to entice people to come to their church. This trend is accelerating, as mainline denominations like the SBC are losing members, and they see younger church members fleeing to the non-denominational churches, and there is more and more competition between a rapidly growing number of churches over a slowly growing "consumer base" of Christians. Mega churches especially are trying to stall this membership loss through spending hoards of money - money given by God's people for "ministry" - on things like marketing, advertising, and promotions to attract more nickels and noses to their church. First Baptist Church Jacksonville was on the cutting edge of this trend back in the '80s as they began to advertise - putting billboards up around Jacksonville, and later, buying TV commercial time. There are even consulting firms that exist today catering exclusively to the "marketing needs" of churches - offering services including website design and hosting, design of advertising and promotional pieces, design of sermon series and associated promotions and advertising. They will assist churches in applying the business model of market analysis and strategies: branding of churches (and pastors), identifying strategies to target specific market segments, etc. While this is distasteful to many in Christendom, its nothing new and it has been embraced by almost all denominations. But FBC Jax in the last 3 years seems to have broken new ground in this area. It is one thing to implement marketing principles within a church to help it achieve its mission or to simply grow - which some have criticized as being unscriptural at its core - but its another thing altogether when the church employs marketing techniques to RAISE REVENUE through advertising within the church walls. That is precisely what FBC Jax has been done with the Pastor's Conference - the very conference that was started nearly 30 years ago by Jerry Vines to help minister to pastors and let them see how things are done at FBC Jax - access to these pastor's eyes, ears, and wallets is now being sold. They have gone beyond using church marketing services of the A-Group to entice people to come, and now have employed marketing AND promotions firms to assist them in SELLING advertising WITHIN the walls of the church to raise revenue by selling access to the eyes and ears of the attendees sitting in the pew. This year, they've become even more brazen in the promotions for the 2010 Pastor's Conference, as now they are trying to sell for thousands of dollars the privilege to place the name of a ministry on bottled water, pens, and conference bags. Even the mentioning of a ministry name from the pulpit is "negotiable", according to their website. Do the people of FBC Jax really want their leadership charging other Christian ministries $750 for the simple privilege of occupying an 8' x 10' section of our foyer to put up a display table? Is that what the faithful people did 20 and 30 years ago when they gave sacrificially to pay cash to build the RLA and Main auditorium: so Mac Brunson and the A-Group could then sell promotions packages in the auditorium? Did the people of FBC Jax give money to purchase image screens and all of the top-notch audio-visual equipment so Trey Brunson could sell to Christian ministries for thousands of dollars the privilege of displaying their ministry logo or so the "emcee" could speak the name of a ministry to the audience after they have negotiated the appropriate fee with Trey and Maurilio? I don't know about you, but as a Southern Baptist, and knowing the influence that FBC Jax has, and the respect that Mac Brunson has with churches all over the SBC, I'm worried when I see FBC Jax breaking new ground in this area. What a terrible precedent that I hope others don't follow. In a few upcoming articles I will discuss some of these FBC Jax tactics to raise revenue, why they are a terrible idea, and I will contrast this with how the Southern Baptist Convention handles the matters of promotions and vendors at their annual convention. Instead of FBC Jax having something to teach the SBC, its the other way around in this case. "God's plan was never for man to use worldly schemes to raise money for the spread of His message. God did not plan for His churches to have sales, dinners, raffles or bazaars to raise money...Such schemes are a shame and a disgrace to the church and certainly can never be pleasing to the Lord" (Homer Lindsay, Jr, "Spiritual Helps for the New Member", 1969). Did Homer say that? You better believe he did. And if he were here today, he'd say it again. Readers: below is an article appearing today on the Wartburg Watch by a guest blogger, attorney Ralph E. Cooper from Waco, Texas, who has agreed to allow me to publish it here in its entirety also. For more background on this article, visit Wartburg Watch here. Many thanks to Ralph for writing this post to speak his mind on these matters, and to be willing to share it with the world. 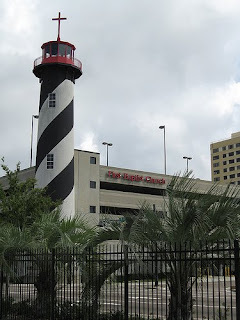 "The following is my suggestion for resolving the dispute between First Baptist Church Jacksonville, FL, and Tom and Yvette Rich; Mr. Rich is the blogger and host of the FBC Jax Watchdog blog. This suggestion is made by one with both a Ph.D. in Psychology with graduate study in conflict resolution, and a law degree. 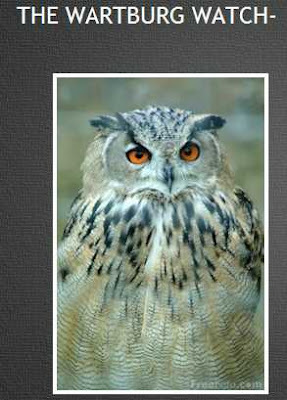 I have been involved in mediation or similar conflict resolution work for approximately 40 years. I believe that onus to resolve and settle the lawsuits is on Rev. Mac Brunson and the leadership of FBC Jacksonville. My reasoning is as follows: First, the actions complained of in the lawsuit were initiated by Rev. Brunson and the church. Second, the approach taken by the church and Rev. Brunson has not worked. The blog is still active; it is getting national attention; and Rev. Brunson is gaining a negative national reputation, except among other authoritarian pastors and denominational leaders. Third, without resolution, the longer the suit is active, the more adverse the consequences for Rev. Brunson and the church, and could include the church losing membership and donations and Rev. Brunson losing his pastorate. Given that continuing in the present approach is not being effective and is costly, as Paul suggested, let me show you a better way, the way of love and not the way of law and retribution. First, initiate settlement discussions. Rev. Brunson and church leaders should ask their attorney to set up a mediation through Mr. Rich’s attorney, and offer to pay for the mediation. Allow Mr. Rich’s attorney to suggest the mediator, subject to approval by the church’s attorney, and offer to pay the mediation fee. a. Admit that there was and is no evidence of anything criminal by Mr. Rich such as stalking Mrs. Brunson or stealing mail, and no evidence of any sin against you or the church in the portions of the blog written by Mr. Rich. b. Pay Mr. Rich’s legal fees and expenses as it relates to the suit against Rev. Brunson, from Rev. Brunson’s personal resources. c. Pay for counseling for Mr. Rich and his family, by a counselor of their choice, due to the pressure your attacks on him have caused. d. Remove the trespass warnings against Mr. and Mrs. Rich, so that they may visit their friends or attend an event at the church without retribution. e. Insist that the deacons and church rescind the infamous resolution. f. Repeat the apology before the congregation on Sunday morning., including a statement that Mr. Rich’s blog was not gossip, nor slander, nor cowardly, but an attempt to hold Rev. Brunson accountable to his own teaching and to the Biblical witness. This apology should be made by Rev. Brunson, personally. g. Ask the lay leadership to restore the bylaws to what they were before and to find ways to make the business of the church more transparent and accountable to the membership. h. Pledge to being more available and open to the members of the congregation as their pastor and to listen humbly to their comments on your pastoring and preaching, such as by holding a weekly or bimonthly “town hall” type meeting to hear their comments. An alternative would be a pastor-church relations committee that could take comments and forward them to you while protecting the identity of members offering comments. Of course, such comments must be answered publicly to the extent that respect for privacy allows. Third, carry out any agreement in good faith as if you were trying to outdo yourself in reaching out in love to a Christian friend. Fourth, abjure any church discipline process in the future against those who comment or raise questions in a civil manner, whether anonymously or otherwise, and be responsive to them, at least by answering gently. The above suggestions do not deal with all of the issues that the blog has addressed, and it is unlikely that some issues can be resolved at this time without great expense and disruption. However, the spirit of reconciliation must be shown. It may also be wise to review the unresolved issues to see whether some of them, such as family members on the church payroll, could not be resolved over time. I believe that once such an offer is on the table, it will be incumbent upon Mr. Rich to similarly apologize for some of the blog entries or for some of the words and tone in the blog entries, and to offer, after publishing the agreement (without any crowing), to suspend the blog, except perhaps to occasionally post an entry about how the agreement is being carried out, hopefully well, and about other actions consistent with the spirit of the agreement. Such is the more excellent way to respond to a lawsuit, the way of love. Usually, it is also the least disruptive and least expensive way to resolve a lawsuit, and it can result in restoration instead of resentment. " Jeff Brumley of the Florida Times Union has an article in today's paper (9/18/09) reporting the response by First Baptist Church Jacksonville to the lawsuit claiming defamation and fraud, misrepresentation, and abuse of process in the outting of this blogger and subsequent "smear campaign" taken by the church. First Baptist has filed a motion to dismiss the lawsuit based on church/state issues. "Ruling on whether church officials properly or improperly barred blogger Tom Rich and his wife from the premises or made defamatory statements about him would 'require excessive entanglement in church policies, practices and beliefs' on the part of the court, the Sept. 9 motion states." Very interesting, and not surprising. However, the lawsuit doesn't have anything to do with church policies and practices, and doesn't really have anything to do with them barring us from FBC Jax. It has to do with the circumstances surrounding a criminal investigation being opened by the JSO resulting in subpoenas, and for defamatory statements made by Brunson to the newspaper about my mental health. "From August 2007 to fall 2008, Rich published an anonymous blog critical of First Baptist Pastor Mac Brunson, slamming everything from his preaching and administrative style to decisions to open a church school and satellite campus...."
- the change of church bylaws in December 2007 significantly changing the governance of the church, without anyone in church leadership explaining what these changes were, and why they were made. Changes including forming a discplinary committee, adding a clause that members forfeit their rights to bring legal action against the church, and removal of a clause that allows the church membership to call for a special business meeting. This blog has called for the leadership to explain these changes to the congregation. - the selling of "promotions packages" to Christian ministries to raise money during the Pastor's Conference - requiring ministries to pay $750 to put a display table up in the church, and charging up to $12,000 to ministries to purchase "ads" on the image screens and for the privilege of mentioning their ministry from the pulpit. The church is doing it once again this year, for the 2010 Pastor's Conference, even going so far as trying to sell the privilege of putting someone's name or ministry on bottled water or conference bags for $1000. - outrageous fund-raising efforts by Brunson where he demanded his congregation to "give a million in two weeks" for "emergency" facility repairs, most of which were not emergencies...demanding the people give the million dollars under threat that their decades long tradition of being debt free would be broken. - bullying and boorish behavior by Brunson in the pulpit, including: calling FBC Jax a "hotbed of legalism", praising God his congregants didn't get a raise, expressing hope that FEMA doesn't help Jacksonville if a hurricane hits, declaring God to be the direct cause of 9/11 and our economic collapse to punish Americans, and accusing those who disagree with him on the doctrine of tithing to be "doing the work of Satan". Too many examples of Brunson's poor pulpit behavior to even list here, but have been documented on the blog, and that citizens of Jacksonville have witnessed in the church broadcasts on TV-12. Update: Around noon today (Tues), we received word via FBC Jax's attorney that the trespass warning for my wife is still in full force and effect. She is still banned from the premises - cannot attend the mission service without threat of arrest. No reason was given for the threat that she poses by her attendance at a missions appointment service. Readers: Wednesday night 9/16, FBC Jax is hosting the Southern Baptist Convention (SBC) International Missions Board (IMB) Mission Appointment service. Scores of IMB missionaries will be commissioned to their places of service around the world in this service. This is a HUGE deal, and I commend Mac Brunson and FBC Jax in hosting such an important event for the first time at FBC Jax. According to the IMB website, there will be testimonies given by missionaries being appointed, and a sermon by IMB President Jerry Rankin. This appointment service is open to the public, and is of great interest to SBC church members all over the country. Sister SBC churches here in Jacksonville will have people present. However, I want my readers to know that I have contacted the church to get their answer on whether my wife is allowed to attend. As I have reported on this blog, my wife was wrongly issued a trespass warning by the church administration for the alleged "sin" of her "associating" with me, a member who was the author of a blog about FBC Jax. 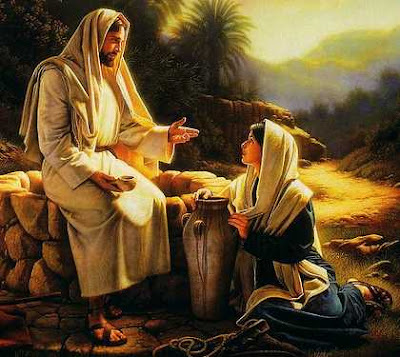 Yes, she has been banned from the church property under threat of arrest for the last 9 months for the phony charge of associating with me, her husband. Immediately after FBC Jax messengers Blount and King dropped off my list of 16 sins last November at my doorstep, along with the trespass warnings - one for me and one for my wife, I wrote FBC Jax and asked them to rescind those immediately as they were totally unnecessary and coersive. But their response was they are "in full force and effect" until we would agree to meet with their discipline committee. We never came to terms for the conditions of the meeting, and we have since left FBC Jax, as my readers know. Since that time, we have complied with the trespass warnings. As I have reported on this blog, my wife even sat in her car outside the church in December waiting for our kids to get out of their programs to comply with the trespass warnings - until we found a new church home. But now my wife and I are both members in good standing at a sister SBC church in town. As many of you know, my wife is Hispanic, and a few weeks ago after hearing some reports from missionaries at our church of their work in South America, she has expressed some interest in eventually going on a short-term missions trip where her bilingual skills, and her very loving, caring spirit could be used to minister to people in need. So I sent an email to John Blount, FBC Jax Church Administrator, last Thursday, kindly asking him if the trespass warnings were still in effect for Yvette and me - that we have a desire to come to the IMB missions conference. I never received a response. Perhaps their lawyer has told them not to communicate with me at all because of the on-going lawsuit. I sent a follow-up to Blount yesterday (Monday), letting him know I would NOT attend, but that my wife still may want to attend, and to please let me know if she can, and if not, for what reason she cannot. I also let him know I contacted my lawyer to contact their lawyer in an attempt to get a response from FBC Jax on the trespass warnings. Still, no response as of this writing. Will FBC Jax finally try to do the right thing in this matter? Are they really going to keep my wife from attending a missions conference? Does Jerry Rankin and other IMB trustees who are in town this week know that their host church is banning a Hispanic woman who might be a future short-term missionary, from attending this service for no good reason? What must my wife do to have her trespass warning removed? Must she divorce me? Must she openly say she opposes this blog? Maybe if she confesses and repents of her "sin" of "associating with" her blogging husband? Whatever the FBC Jax response is in this, I promise I will post it here on this blog site. Let's hope and pray they will do the right thing, the loving thing. 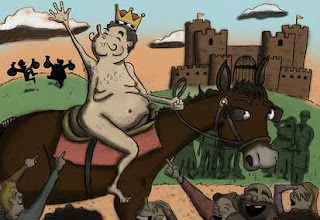 "The Emperor's New Clothes", aka, "Senior Pastor Syndrome"
The blogger "Junkster" posted a hyperlink here on this blog to an article entitled "Senior Pastor Syndrome", written by a blogger who goes by "Prodigal John", and writes an insightful blog entitled "Stuff Christians Like". I thought the "Senior Pastor Syndrome" article was so relevant to issues I blog about, that I contacted Prodigal John to ask him if I can post his article here in its entirety, and he agreed. In this article PJ discusses how Senior Pastors can catch "CEO Disease". Symptoms of this disease? A pastor who is "untouchable", who surrounds himself with "yes men", has a "board of trustees" that he selects and who alone hold the power to call for his dismissal, who has ministers on staff that tell the congregation that to criticize "Pastor" is to criticize Jesus Christ, whose sermons are nauseatingly hypocritical and self-serving, who preaches sermons about himself and how great he is and how persecuted he is at the same time, who behaves like a boor and a bully in the pulpit week after week and its obvious he can't see it, and obvious that no one dares tell him - and who can't even preach a sermon on God's love without getting ticked off at the congregation - these might be symptoms that a pastor has "CEO Disease". And check out my comments below at the end of PJ's article. I write advertising for a living. One of the things you do when this is your job is send everything you write to lawyers for a legal review. This is not my favorite part of what I do. As you can imagine from reading this site, sometimes lawyers beat my words like they are a pinata overstuffed with sarcasm and mildly amusing wit. I wanted to write something equally rude back. I wanted to say, "Ohhhh is it already 'one word Wednesday?' I want to play! I want to play! OK, how about I respond with 'WHY?'" Or I wanted to say, "Whoa, enough of that legal jargon. Can you please explain things in terms I will understand? Can you please simplify your thoughts? I was admittedly angry at first, but then I realized that I should feel bad for him. Because of his status, he was not living in the real world. He was suffering from what they call "CEO disease." People wouldn't tell him the truth. People only told him what he wanted to hear. Like the emperor in the fable, "the emperor's clothes," no one was honest with him. He was insulated in this fake world where his actions and words were not challenged at all. So he had grown foolish and disconnected over the years. The scary thing is that this happens to Senior Pastors too. I wish this wasn't true. I wish this was just me flossing about an idea not a real issue, but I think it's true. Somewhere along the way, as a church grows, members can often move from respect to inappropriate levels of reverence for their minister. They stop challenging the messages. Stop questioning the decisions. And you don't have to look very hard to see examples. One massive minister was caught in an affair a few months ago. In his initial attempts to defend his innocence, he answered questions about why he often got a hotel room by himself in the city he was from. He said that he used the hotel rooms to write his books in, that's all. What? Are you kidding me? His wife, his staff, his accountability partners, the people in his life that cared about him, never questioned that behavior? If I ever told my wife that I was getting a hotel room in downtown Atlanta for the weekend so I could get some quiet writing done, she would laugh out loud and tell me to go to Starbucks for a few hours. And then she would laugh some more, just muttering to herself and shaking her head, "ha, hotel room in Atlanta. Ha." Another minister in my neck of the woods was given a Rolls Royce as a gift by his church. I'm not even sure where to start with this one. I admit, I prefer to sit on baby seal skin leather seats and I like the dashboard of my car to be virginal cherry wood from a small cove on the coast of Portugal, but that just how I do things. How does it happen? How does Senior Pastor Syndrome sneak in? I think it starts in marriage. Growing up, a lot of the marriages I witnessed at church and at friends' houses had some pretty clearly defined roles. The husband was the hero. The wife was the cheerleader. His role was to be super awesome. Her role was to tell him he was super awesome. I can laugh about that now, but for a few years that really damaged my own marriage. The first time my wife tried to criticize me, out of love, inside I thought, "What? What is she doing? I'm the hero! The cheerleader doesn't criticize me." It took a while for us to tear down these harmful roles and have a real relationship. If you're a pastor, this is a good time to do a reality check. Are you getting critical, loving feedback? Or are you driving a Rolls Royce right now because you are so super awesome? And husbands, does your wife have the freedom to tell you the truth? Mine does now, most of the time. We're admittedly a work in progress. Yesterday, after I read her my "dear dads" post I wanted to put on this site, she told me it was no good. And she was right. It wasn't. So I didn't post it. But that was the truth and though I fail at that often, that's where I want to live. While both CEO's and "Senior Pastors" might suffer from "CEO disease", I believe it has to be MORESO a problem with Senior Pastors, especially of the SBC mega churches than it is with corporate CEOs. This is because CEO's actually report to a Chairman, and they are accountable to an independent board of directors or trustees who demand results. CEOs don't select their own boards from their trusted "yes men". They have corporate nepotism policies that prevent them from hiring relatives under their direct supervision. CEO's don't have people showering them with praises calling them "God's man", and his close advisors don't shield him from criticism by telling his detractors he is "God's annointed" and "touch not thine annointed CEO". He can't answer his detractors by saying "I'm accountable to God Almighty, not to YOU!" And people don't call him first person, "CEO" (as in "Pastor"). CEO's operate in a highly competitive, cut-throat business environment, where their competition is after every fraction of a percent of their market share. They can't avoid dealing with the government under some "church/state" clause - they deal with government regulators watching their every move. They must pay corporate income and property taxes. CEOs have share holders to whom they are accountable. 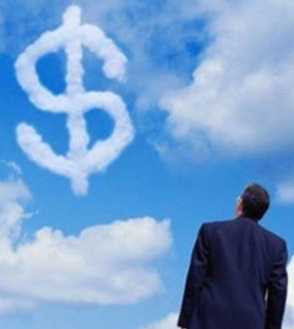 CEO compensation package is not a mystery, its known to every share holder who wants to know, every penny. CEO's and their companies have to respond to anonymous and non-anonymous complaints. In fact they encourage employees and customers to submit complaints in many forms, as they crave feedback so they can address problems, real or perceived. They must comply with whistle blower laws that prevent them from punishing their internal critics who seek to bring to light corruption in the corporations. And, get this: Corporate CEO's have to lead an organization into actually delivering a service or product that people like, and that benefits people or other companies; they don't raise their revenue by telling people "God said for you to give 10% here in this book in the Old Testament, and guess what, God wants you to give it to MY company, and uh, God will bless you for it. Amen?" If one is a mega church pastor, he can certainly say: "Its good to be da king." Just make sure, King Pastor, you aren't walking around naked and no one dares tell you. I like Stan Jordan. I hope he's elected to the Florida Senate this fall. Stan Jordan is a conservative Republican who shares my conservative values. Stan is a long-time member of First Baptist Church Jacksonville. Mac Brunson is his pastor. Its no secret that First Baptist Church has had a long history of influential politicians as members, too long to list. But one of the dangers of having Mac Brunson as the pastor after his antics the first 3 1/2 years of his tenure, is it invites media scrutiny and public criticism of political candidates, like Stan Jordan, who have chosen to remain members of FBC Jacksonville under the teachings of Mac Brunson. I have no doubt that if Stan Jordan were asked about any of these, he would distance himself from Mac Brunson, as well he should; much like Obama had to when he was forced to answer for the ridiculousness of his own pastor, Jeremiah Wright. So shouldn't voters ask Jordan if he believes and supports the Mac Brunson/Jim Smyrl nonsense? Why not? One of Jordan's lists of accomplishments is his faithfulness to his church. Last fall I'll bet Stan Jordan would've told you that Obama's affiliation with Jeremiah Wright's church caused him great concern. Shouldn't citizens be concerned that we might elect a man to represent us in Tallahssee who believes the solution to our economic crisis lies in having more people donate to mega churches, and believes on 9/11 and in Hurricane Katrina God has punished America for her sins just as Jeremiah Wright declared? And shall we mention Mike Huckabee? He has come to preach in Mac's church - if he runs in 2012, will he be asked why he came to preach in a church that believes such nonsense as that? Mac Brunson and politics: a ticking time bomb. Over the years I have sarcastically referred to the televangelists networks as "the hair channels" - since so many of the Christian preachers/performers seem to be infatuated with their hair styles and hair-dos just as much as they are padding their pocketbooks with donations from gullible Christians who send them their hard-earned money. I get a kick out of watching these channels from time to time as I channel surf, and this week I saw two things that were humorous, yet disturbing at the same time. One of them involves Mac Brunson on the INSP network. The first was a clip of Jesse Duplantis. Jesse is the cajun, folksy preacher from Louisiana that preaches unashamedly a health and wealth gospel - that is HIS own health and wealth. He is so far out in his views on money and wealth accumulation for himself and his followers that I was shocked earlier this year when I learned that one of Maurilio's clients actually had Duplantis into their church to preach. In a wonderful display of just how brazen these health/wealth preachers have become, I saw Jesse say the following (I'm paraphrasing), bragging about his wealth: "I had a man come up to me one time and say to me 'Jesse, let me shake your hand, because I've always wanted to shake the hand of a millionaire.' And you know what I told the man as I shook his hand? 'Multiiiiii' " . If you've ever heard Jesse, you can imagine him saying "multiiiii" followed with his cajun giggle. To which the other hair channel phony balonies on the stage with him started hooting and hollering along with the studio audience. Yep, 'ole Jesse is not just a millioinaire, but a MULTI-millionaire, and proud of it. Nothing wrong with being a millionaire - but from donations of Christians who think they are giving money to God by giving it to Jesse and then BRAGGING about it? Praise Jeeeesus! God will get it through Jesse if he can get it to Jesse - ain't God good!!?? At Jesse's website he encourages people to become his "Partners" who will regularly donate money to his ministry. Benefits of being a "partner" include preferred seating at events, more personal prayer (Jesse will pray for YOU! ), more heavenly rewards. Can you say "indulgences"? But the next thing I saw on the INSP network was quite disturbing also. I saw Mac Brunson delivering a sermon on INSP - pretty good sermon; but here is the disturbing part: it was obvious to me the sermon audio had been altered to include an applause track....at a point in the original sermon where Mac had only scant applause, there was edited in more rigorous, spontaneous applause. And it was so poorly edited that while the raucus applause was heard, at the same time a balcony camera shot showed that hardly anyone was clapping! There was also a portion where I believe they edited the tape to include more intense laughter at one of Mac's witty quips. If indeed FBC Jax or the INSP folks are editing the audio tracks, how sad is that? I would think that FBC Jax would be above that sort of shameless image manipulation. That has me wondering: who would do this editing? Do the FBC Jax media folks edit the sermons prior to sending them to INSP for airing to beef up the congregational responses? Why would they do that? Why would they alter the applause on the INSP version, but not the version posted to the 316 web site? What does this say about the congregation at FBC Jax? Are they just an audience who is expected to fork over their money to pay for INSP TV time, and to offer up their laughter and applause for Mac, and if they don't do that well enough the media bunch will "correct" that through clever audio track editing? 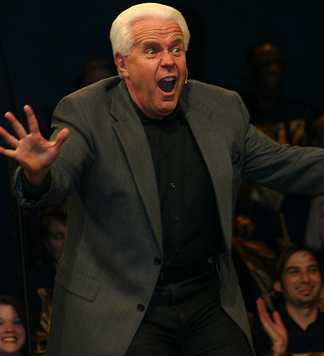 If indeed FBC Jax is altering the audience reaction to Mac's sermons aired on INSP, its another example of the disrespect and disdain shown for the sheep at FBC Jax by the leadership. From the accusations of them being a "hotbed of legalism", to the accusations made by Paige Patterson that Brunson never got a honeymoon at FBC Jax, to the disrespectful manner that Mac tells people they must tithe and give to his special offerings - even the praise given to Jesus that they didn't get a raise because they can't handle their finances....all of that, and now the stupid sheep don't even have the sense to know how to clap right and laugh loudly enough. Used to be that there was a wide chasm, at least in my mind, between the hair channel televangelist ministries and our SBC mega churches. But I'm not so sure there is much of a difference anymore. Its all about the money and the image. If you haven't been reading the Wartburg Watch (WW) blog lately, go check out their blog. This link takes you to the main page, and this link will take you directly to their archive giving a chronological listing of their articles. For the past 2 1/2 weeks they have written daily articles on a wide variety of issues at FBC Jax - many of them are the same kinds of issues that I have blogged about for 2 years now. The WW blog began in March 2009, and if you scan the archives you will find some very interesting articles about pastoral abuse, Calvinism, the "Quiverfull movement", other relevant church topics. These ladies pull no punches. They have written some very hard-hitting articles about the issues at FBC Jax. They are from another state, and are impartial observers as to what is going on at FBC Jax. They interviewed me and my wife on multiple occasions, and as you'll read in their last article they even interviewed State Attorney Angela Corey. The Wartburg Watch bloggers do share my concern over the state of the "church", especially power hungry SBC pastors who have a penchant for using power to do away with those who dare to criticize their actions and scrutinize their public words. They also are very concerned over the Jacksonvile Sheriff's Office subpoenas - and what it means to freedom of speech when law enforcement can so easily obtain subpoenas from state's attorneys with no stated crimes, obtain personal information about citizens from ISPs, then share that information to powerful religious leaders - that in my case resulted in the powerful religious leaders exacting their non-biblical church discipline process, and ultimately disseminating my name to the congregation. Kudos to the Wartburg Watch bloggers on a job well done covering the FBC Jax fiasco.